Coast to Coast Conferences & Events Chooses ASTRALCOM | ASTRALCOM - Content Strategy, Conversion Marketing and Customer Acquisition. (Lakewood, CA – June 8, 2017) – ASTRALCOM, LLC today announced that they had recently reached agreement to provide paid search engine marketing and digital marketing strategy services for Coast to Coast Conferences and Events, based in Long Beach, CA. Coast to Coast Conferences & Events was founded 1994 and provides comprehensive, end-to-end planning services for conferences and events of all sizes across the nation. Coast to Coast Conference & Events has become an industry leader in strategic conference planning, innovative event technologies, and strategic meeting management. After interviewing several different solution providers, Coast to Coast Conference & Events selected ASTRALCOM. “ASTRALCOM has the depth of knowledge and multichannel experience that we’re looking for,” explained Mike Shaknovich, Event Direct and Head of Growth at Coast to Coast Conference & Events. 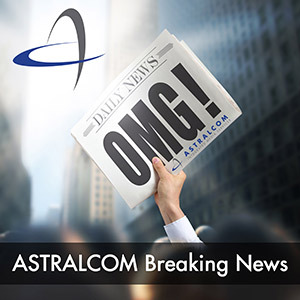 “We’re honored that Coast to Coast Conference & Events chose ASTRALCOM as their digital marketing partner,” said Richard Bergér, VP at ASTRALCOM. “We’ll be starting out with some basic digital initiatives to establish value and trust, while demonstrating solid results” he added. Keep up on the progress of this project and learn more ASTRALCOM at www.astralcom.com. ASTRALCOM Integrated Media Services (https://www.astralcom.com) is an Integrated Media Services Organization that develops and implements strategic solutions using web, search, social, mobile, content and print tactics and is a multiple award-winning agency named as one of the Top 10 Most Dependable Design Firms in California. If You Aren’t Using Buyer Personas, Then You Need to Read This Now!